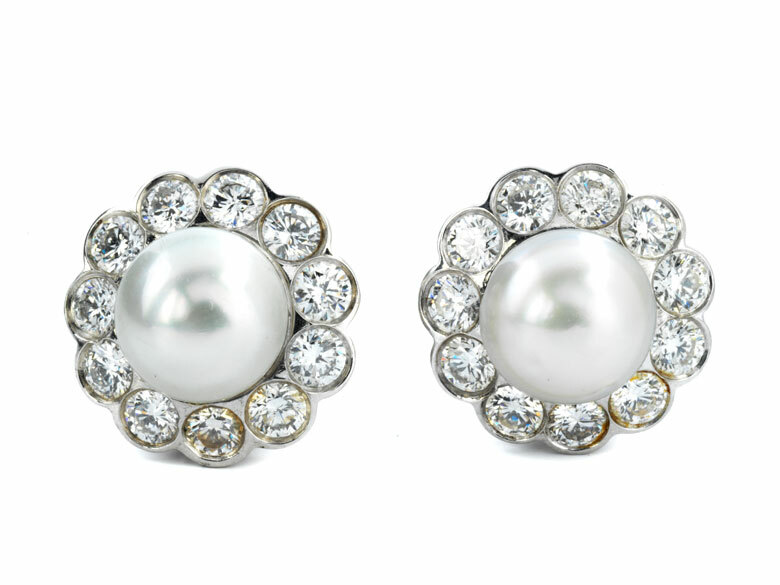 Classic, elegant earrings with fine, button-shaped pearls, ca. 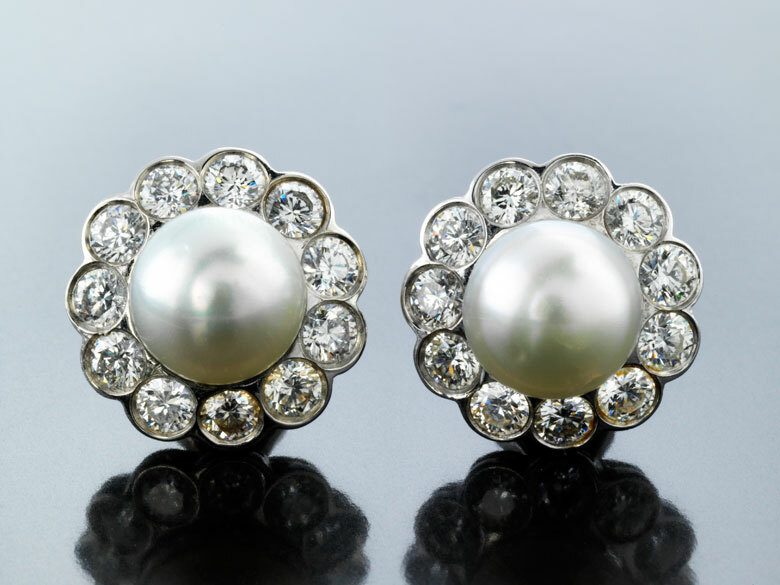 8.5 mm in diameter, with a surround of fine, brilliant-cut diamonds, totalling ca. 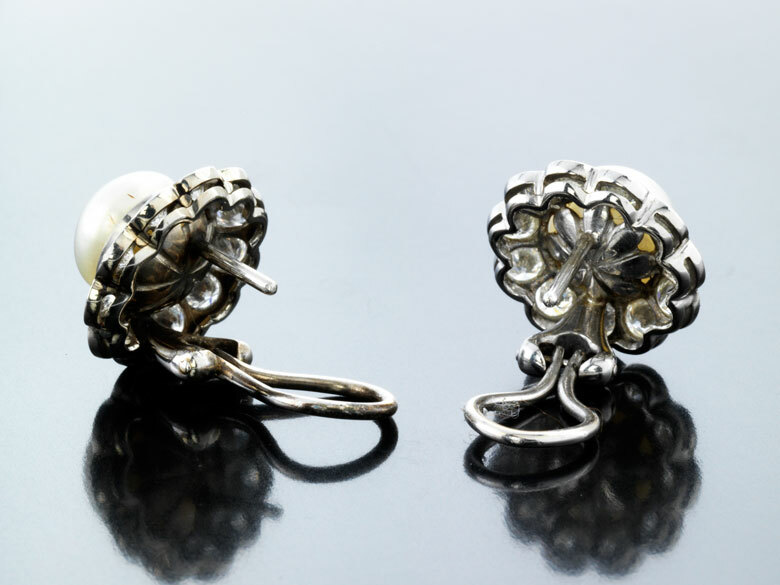 2.2 ct. Clip-post closures.